The Canon M50 might not look like it, but in many ways it’s a more advanced and more refined filmmaking tool than any of Canons higher end DSLRs. Though it lacks Dual Pixel AF in 4K mode, it has a host of advanced features that aren’t available in any of Canons much more expensive DSLRs: there’s focus peaking, magnify and scan around (via D-pad or touch! ), clean HDMI out, a flip-out touch-screen and OLED EVF, easy-to-use and high bitrate codec, customizable buttons and the best implementation of 4K timelapse I’ve seen. All things Canons 'higher-end' DSLRs cannot do. 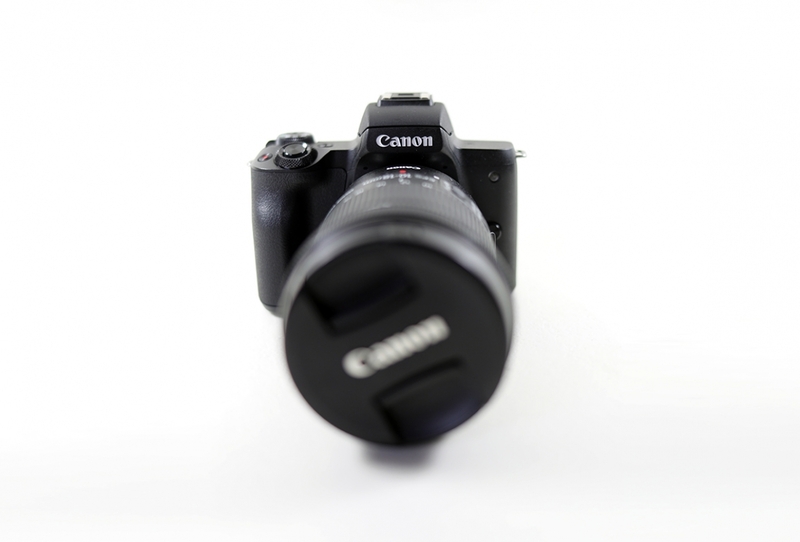 Even some of the features that áre available in Canons DSLRs, are simply better in the M50. It’s the first camera to feature the DIGIC8 processor, which can process sensor data faster and enables a slew of innovations in the M50. There’s eye-tracking Dual Pixel Autofocus, compressed RAW for stills, and where the audio preamps in Canon DSLRs are known to be quite noisy: the ones in the M50 are actually quite good! No more audio-levels hacks for this guy! The M50’s 4K mode does need a little help to get good results though: the Dual Pixel autofocus is not available in 4K, and there’s an additional crop when switching to 4K. But the 4K image itself is actually very detailed and sharp, with great color and dynamic range. This is mostly due to the high bitrate of 120 Mbps and the fact that there’s no pixel-binning or line-skipping in 4k. Below I’ll explain how to work around these limitations and how to set up the M50 for 4K filmmaking. To combat the considerable crop-factor in 4K, you’ll want to pick up an ultra wide-angle lens. Luckily ultra-wides for APS-C sensors are a lot cheaper then their full-frame counterparts. Canons offers the EOS-M 11-22 f4-5.6 as a kit with the M50, and with the EOS-M to EF adapter you can use the excellent (and very affordable) Canon EF-S 10-18 f4.5-5.6 (which I use). The latter gives you a field of view of 22-40mm full frame equivalent, which is perfect for general purpose filmmaking. Many Canon shooters already own the Sigma 18-35 or Canon 17-55, both of which would complement the range of 10-18 perfectly. There’s also the Samyang 12mm f2.8, if you need better low-light performance and shallower depth of field from your wide-angle lens. If you don’t already own any Canon lenses and compactness is important to you, you could choose to stay within the EF-M line-up of lenses. Still, I would advice you to get the $100 EF-M to EF adapter as this gives you access to a much broader range of Canon lenses which are also adaptable to cameras from other brands down the line. The M50’s lack of dual pixel AF in 4K will certainly makes it less suited to 4K vlogging, but for most other filmmaking applications it hardly is a deal breaker. Especially considering the fact that most cameras from other brands require you to focus manually anyway to get reliable results. To compensate for the lack of DPAF in 4K, Canon added a slew of rather excellent focus-aids. There’s a customizable focus-peaking function (strength, color) and a magnify function that allows you to ‘look around’ in the area that is magnified by swiping the screen or using the D-pad. Both features are sorely missing from Canons higher-end DSLRs, and now we have a wonderful implementation on this $500 mirrorless camera. By default, the front dial (the dial around the shutter button) controls shutter speed in video mode. To set it to control aperture instead, just press up on the D-pad (exposure +/- button). This will allow you to quickly toggle between what the front dial controls. This works the same in other modes, for example in aperture priority mode (Av) it allows you to toggle between cotrolling the aperture or controlling exposure compensation. Note that although you can shoot HD video in any mode, to shoot 4K video you need to switch to video mode. You can also set the peaking level (low, high) and color (red, yellow, blue). The M50 has a built-in electronic stabilizer. Being electronic means that it does not shift the sensor but it slightly crops the image. While a nice feature in a pinch, I found that it sometimes causes warping of the image (just like when applying stabilisation in post), so I suggest you turn it off and rely on your lens’ stabilisation or tripod/gimbal. I did find use for the IS in another situation: because the IS crops the image slightly (in the ‘enable’ mode) to severely (in the ‘enhanced’ mode), you can use it to get some more reach out of your lenses. This deteriorates the image quality though, so use with caution and avoid higher ISO’s. Though it’s hard to tell from the specs alone, using the M50 makes you realize how versatile, advanced and fun the M50 is as a filmmaking tool. In many ways, Canon included all the features we’ve been wanting on their high-end DSLRs into this small, inconspicuous body. And at a price that is simply a steal.